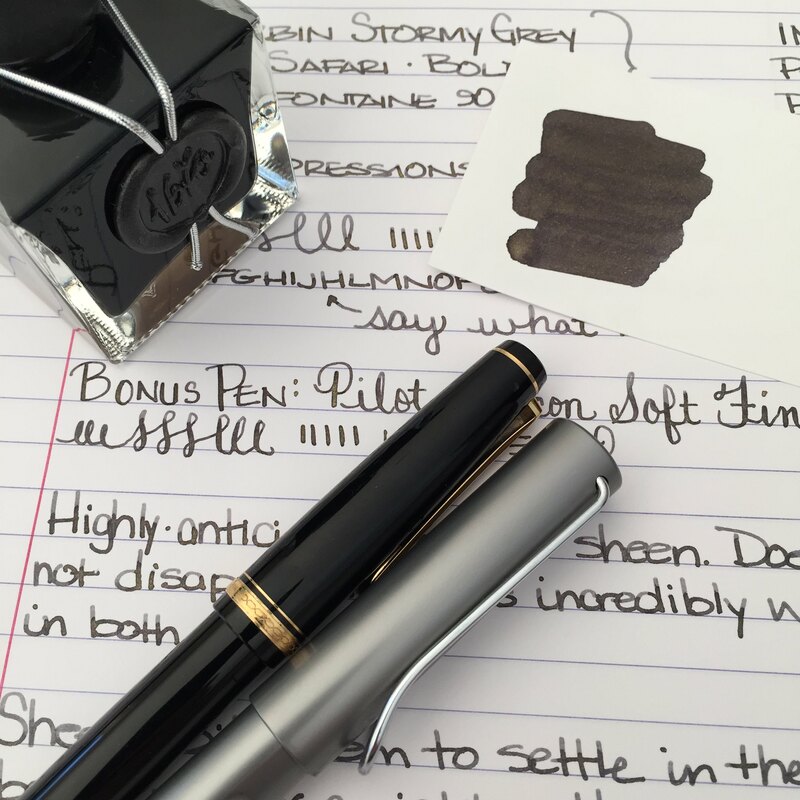 There has been so much chatter in the fountain pen community about J Herbin’s Stormy Grey ink. So much anticipation. It’s all about that gold sheen, baby. When Goulet Pens finally announced that they had it in stock, it was sold out in under an hour – and I missed it. Arrrrgh. I hurried over to Amazon to see if I could find it there – score! It’s the same price at both places – $26 for 50 ml. 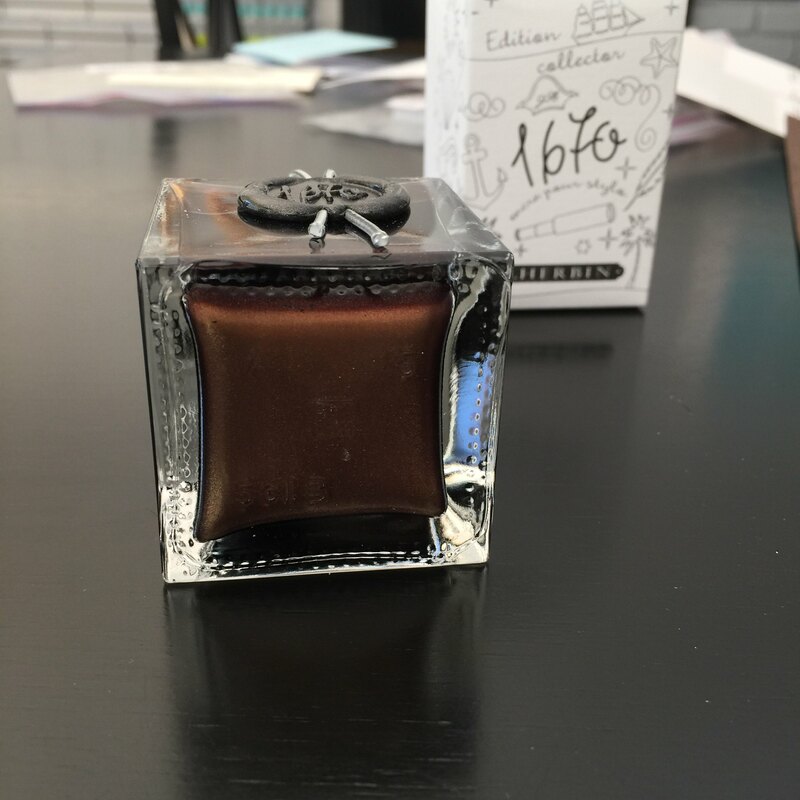 Above: Like the other J Herbin special editions, this bottle is extra special, sealed with wax, and quite lovely. Except that only the smallest pens could fit into the opening of the bottle. And my wax on the screw top is already cracked – whomp whomp. Below: The sheeny bits came to a rest at the bottom of the bottle. 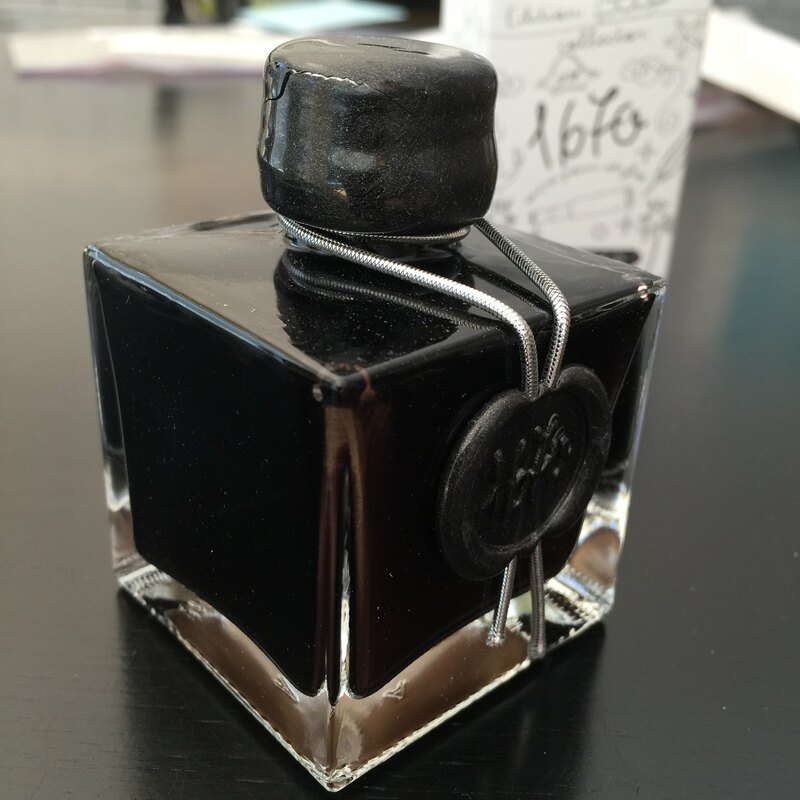 You’ll want to shake well before using this ink. 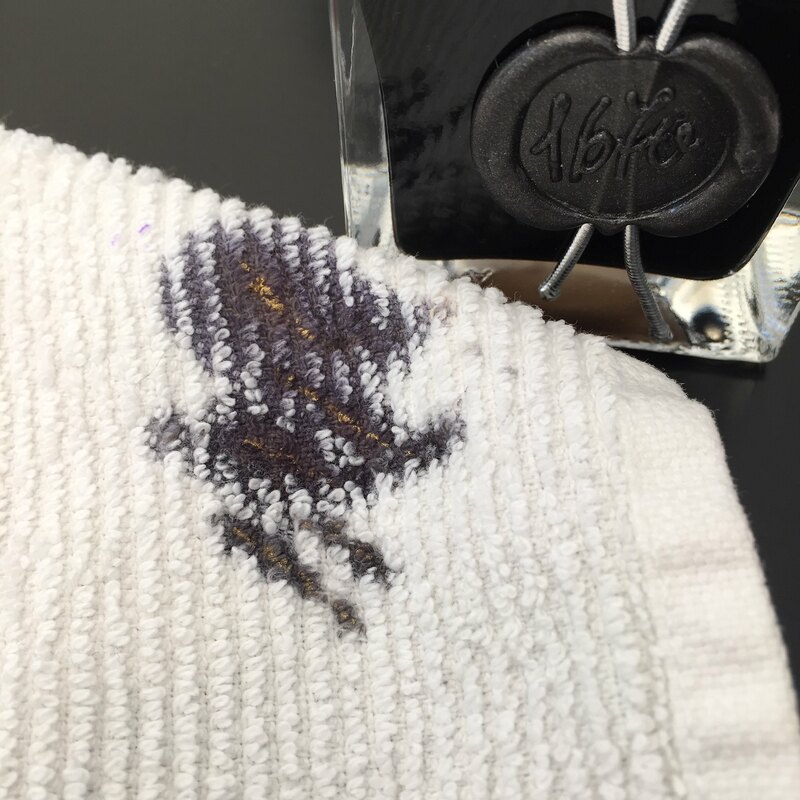 Below: Sheen on the towel that I used to wipe my nib. Crazy, right? 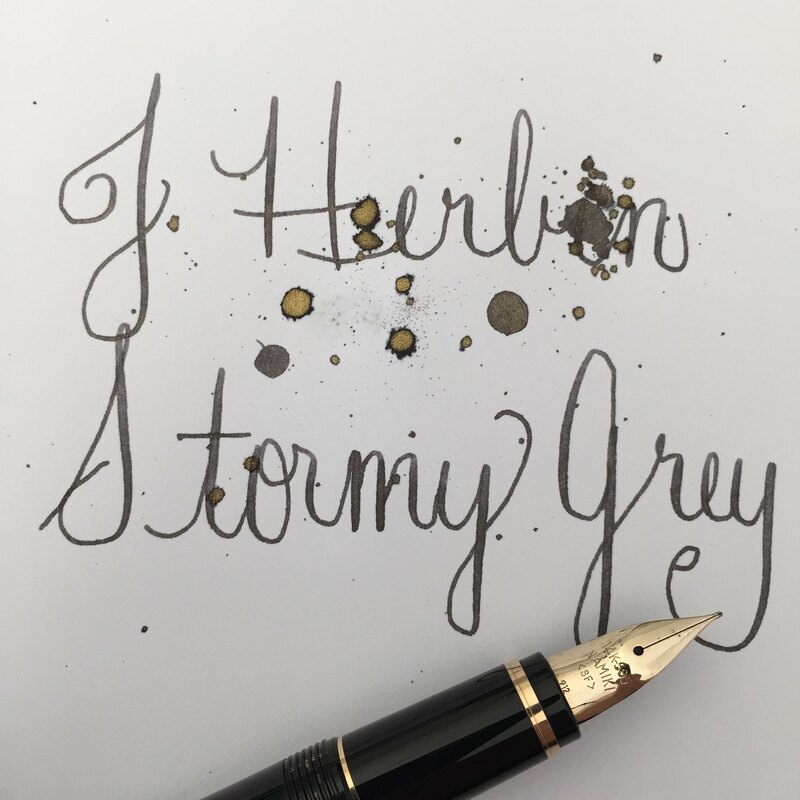 All of that Stormy Grey sheen is just fine, but how does it write? The ink has terrific flow out of the pen (leans toward the wet side, but I like that). There’s some great shading and I really like the darkness of the gray (grey?) color with or without the added fun of the sheen. Something I noticed that could be a concern – in the bottle, the sheeny bits settled so quickly. 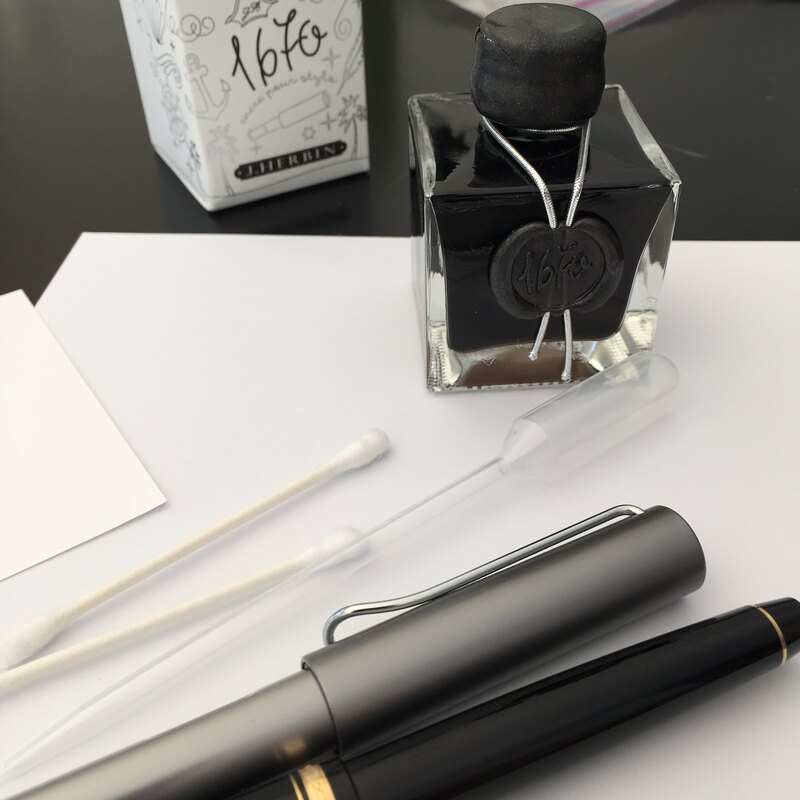 I shook the bottle like mad and then quickly pulled the ink into a syringe to fill my pens. If the sheeny bits settle that quickly, what happens in the pen when filled? Will all of the sheeny bits fall to the writing end of the pen and you will get the most sheen from the first few pages – and no sheen at all for the last few? 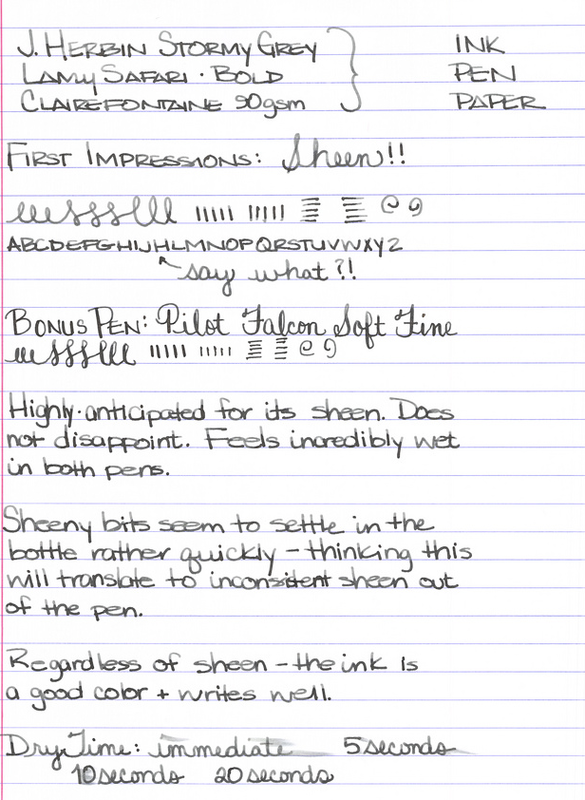 Below: My scanned writing sample doesn’t show much sheen, but it’s definitely there in the right light. Looking for the sheeniest sheeny picture of them all? Check out my friend rubengamez’s feed on Instagram. It’s crazy good sheen! This entry was posted in INKS and tagged fifty shades of grey, gray, grey, j herbin by Christine (Pentulant). Bookmark the permalink. GREAT review, as usual! Thanks, yet, AGAIN! Got mine today! Very good.